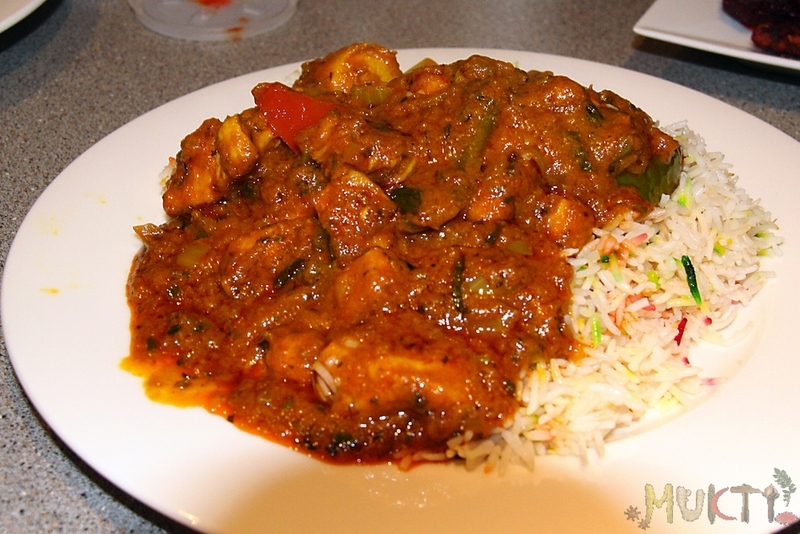 Learn to make fish and chicken curry with Mukti. Come join us! Fish Curry: Fish fillet infused with onion, ginger and garlic and tomatoes. For all curry lovers, this class is made for you. For this menu we have two curry dishes: fish curry and chicken curry. 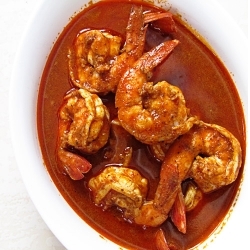 In India there are a variety of fishes, and Indian cuisine is known for its large assortments of fish dishes. The fish is cut into large, chunky pieces that keeps the fish juicy and soft when cooked. The fish is cooked twice: the first time we fry it, and the second time we bathe it in curry sauce, letting the flavors immerse into the fish. Next is chicken curry, which is somewhat similar to fish curry. The chicken is cut into chunky pieces and cooked two times, the second time we also bathe it in curry sauce. Bathing the meat in the sauce will prevent the meat from being dry. Curry dishes are always served with rice (or handmade bread), and one of the most popular types of rice in India is a fragrant, long grained rice called Basmati. It is very popular among foodies in America. Having multiple curry dishes can be overwhelming even for curry lovers, so a nice dessert would help comfort your taste buds from the curry flavor. Kheer, also known as rice pudding, is a simple dish made using milk and rice, and garnished with nuts, spices, or raisins. This sweet, milky dessert can cool you down after the intense, spicy flavors of the curry sauce.